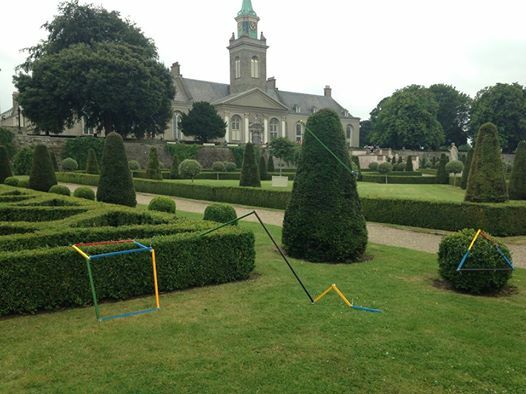 There was a sense of anticipation at the entrance to the Formal Gardens in IMMA on Saturday 19th July. The Director and members of the team were adorned with orange IMMA T Shirts, warmly welcoming people and sharing the proposed activities for the day with us. Any fleeting thoughts that there may be weariness from the previous evening’s opening of Hélio Oiticica: Propositions and the adventure of WERK disappeared. Orange is the new craic. 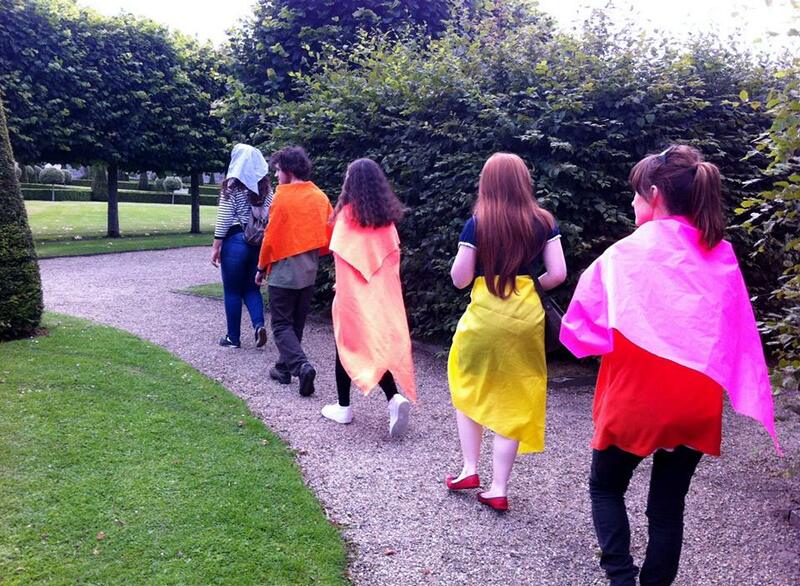 Following a ceremonial procession from the Stables to the Formal Gardens I heard a child say ‘they look like they’re going to a party.’ Members of the MA course Art in the Contemporary World, NCAD realised a selection of propositions by Oiticica as part of SUMMER RISING: The IMMA Festival. They solemnly carried the ‘Parangolés’ to the Gardens and proceeded to dress themselves in these capes and proclaim a series of propositions in response to Oiticica’s. Is this the time to participate? How do you challenge the proposition? We were told to ‘move closer’ however the formal and formulaic method of performance gave no physical invitation to move. The ‘Parangolés’ wrapped the actors so as to make them static and the colour and texture of the garments seemed to dissipate, as the proclamations got louder and more fervent. In experiencing this response to Oiticica’s Propositions I thought much about how the exhibition was mediated, the nature of showing and the expectation of a visceral response, the exploration of cultural norms, what it means to participate, how to participate, and how to share that participation with others. After enlightened refreshment from The Hare Café at the Tiki Hut, I ventured towards the Trade School and was diverted by the atmospheric Laptop Orchestra installation where I saw a bevy of delighted children lolling and listening, banging and dancing around a series of coloured boxes amongst the hedges. With Edible Canvas, the Mobile Art School, Panti’s Drawing & Pictionary, happy children were brimming with creativity through the garden. In the discussion with curators César Oiticica Filho and Rachael Thomas, we heard about Oiticica’s family and his influences. I gained a new understanding of his life from César and was reminded of the Neo Concrete Manifesto (1959) which called for a reinstatement of the values of intuition, expression and subjectivity. 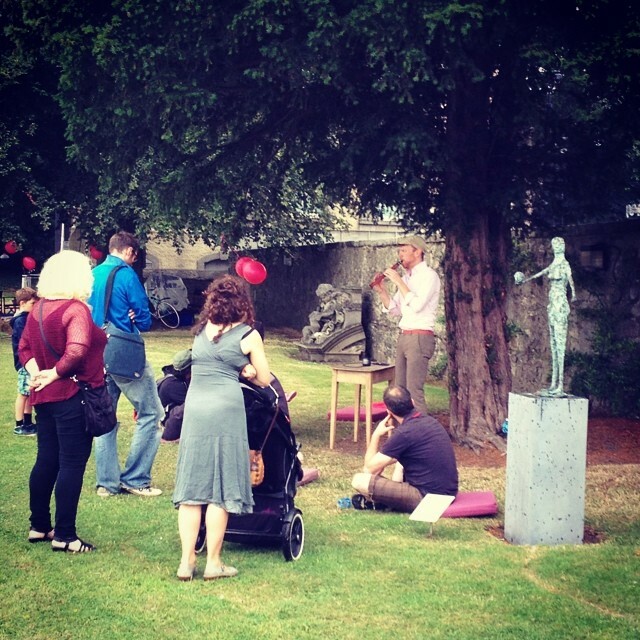 As we listened, a child popped through the hedge next to the curators and faced the audience brightly, followed by a parental figure who could not face the audience. The following Saturday 26th July there was a traffic jam on Thomas St. and I wondered whether the traffic was heading for IMMA. My memory of the previous week was intense and I knew that tickets for the Banquet on Friday night and the Party on Saturday were scarce as hen’s teeth. I arrived just in time to hear Seán MacErlaine’s rich and playful site-responsive piece for chalumeau and gongs under the trees. Welcomed again by orange clad IMMA team members, I was encouraged to listen to the discussion Cultural Trends in Irish Gastronomy: Jess Murphy, Mark Garry and Michelle Darmody. We sat beneath the trees hearing stories of fresh bread, spuds, razor clams, raw fish, and more. We were given examples of food sourcing from farm to table. The Banquet menu and the installation of the formal garden in the space were described in detail. The beauty of the Banquet experience was expressed by an audience member. The image of thinly ripped seaweed delicately placed on yellow tomatoes as a reflection of the artist’s use of colour stays with me, including the description of the use of empathy and spectacle. Walking through the gardens I came across the Mobile Art School with Karl Burke, and I was reminded of the images of the workshops during the week with teenagers by Rhona Byrne. 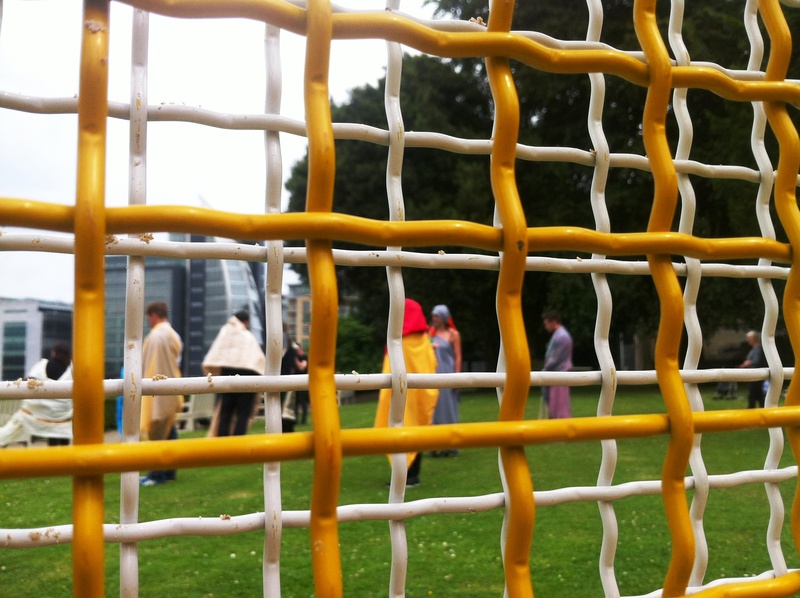 The IMMA Summer Party came back with a colourful, light filled spectacle of art, food and music. 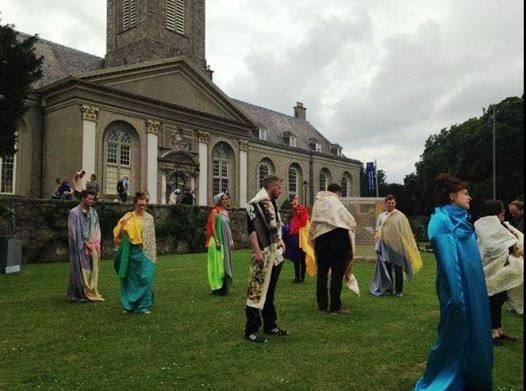 Closing the SUMMER RISING Festival, all were inspired to spend time in the IMMA galleries, formal gardens, historic Great Hall and Baroque Chapel. There was a specially commissioned edition of Gracelands|The Dark Thoughts that Surround Neon transforming IMMA’s formal gardens into a temporary outdoor gallery and cinema. Hélio Oiticica: Propositions is an immense, immersive exhibition. 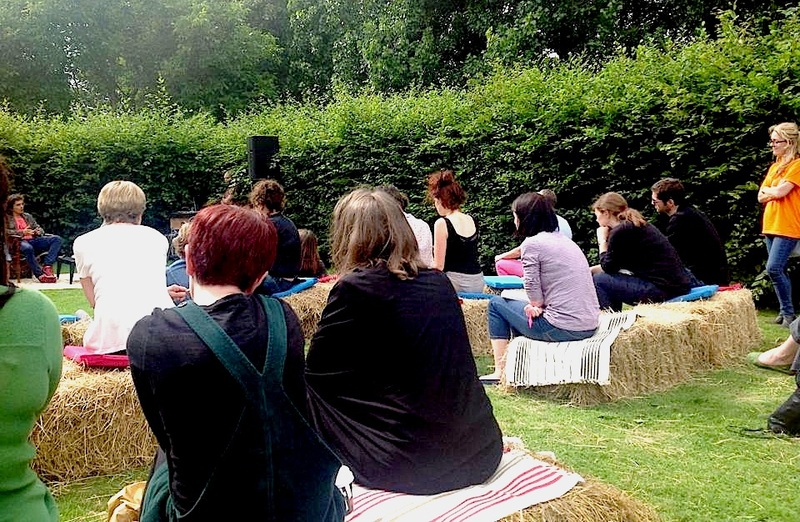 Incorporating SUMMER RISING: The IMMA Festival, IMMA offered a dynamic programme that explores, questions, unravels, and plays with the notion of the visitor’s experience to a cultural institution.